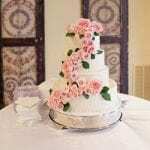 Rose Hall Event Center offers fabulous wedding and reception packages that are beautiful, elegant and affordable. We are different! Only one wedding is scheduled per day and we include everything you need for your wedding in our wedding packages. Additionally, we have a reputation for exceeding expectations every time. You'll want to hurry in for a tour because we book up very fast! 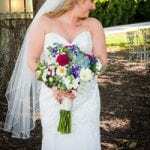 Knowing that every wedding we do has the same high level of quality and service gives us a great level of pride. Our great staff, which includes a wedding director and a service manager, ensure that all the details of your wedding are executed just as planned. It is not uncommon for us to hear that everything went exactly as it should have or that our food is fabulous and our venue is gorgeous! Ask about our off season pricing. Exceptions: No discount in September or October. No discount during off-season dates. An additional hour may be added to the reception for $500 (venue) + $100 for DJ. Payment: A $1000.00 nonrefundable deposit is due at the time of booking to secure the date. Then another payment of $1000.00 is due six months prior to the wedding date. The balance will be due three weeks prior to the wedding date. 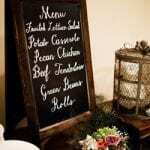 The final count and menu choices are due four weeks before the wedding. We accept cash or check only. If your final count is 180 or more there will be a $1500.00 up charge added to your invoice for an extra tent and supplies to accommodate the possibility of inclement weather. Beer/Wine Package may be purchased for $575.00. Package includes a bartender, security, bar set-up and plastic cups. Rose Hall Supplies beer and wine at additional cost. The average cost of bar service and alcohol for 100 guests is $1065.00. You may deduct the allowance for the cake ($2.00/person). Rose Hall Event Center is a licensed by the State of Georgia and Paulding County to sell and serve alcohol during a wedding. If you wish to have alcohol at your wedding, we will be happy to accommodate your request. Rose Hall provides all alcohol at an additional cost (see table below). No outside alcohol is permitted. We will take your order for your alcohol four weeks prior to the wedding. We allow up to two types of signature drinks. These drink quantities must be pre-ordered and prepaid. Rose Hall Beer and Wine Package includes a bar tender, security, cupware, setup and cleanup. This 'Bar Fee' cost is a flat fee of $575.00. We sell our beer and wine by the case. Alcohol (beer/wine) estimated cost is based on average consumption. We do not require you to purchase these amounts. We will help you figure out how much to order. Cost Adjustments are the same as with the Kiss The Bride Package. Up to 50 guests $4500.00 plus tax, gratuity included. A $1000.00 deposit is due at the time of booking to secure the date. The deposit is non-refundable. The balance will be due three weeks prior to the wedding date. The final count and menu choices are due four weeks before the wedding. We accept cash or check. Cost adjustments the same as with the Kiss The Bride Package.